Indigenous Peoples have an implicit understanding of food security and sustainable diets derived from place-based knowledge and livelihoods spanning thousands of years. Informed by their local knowledge and guided by conceptions of living well, Indigenous Peoples are the custodians of a large part of the world’s biodiversity and natural resources. Recent local, national, and international efforts are bringing forward the vast knowledge of Indigenous Peoples to better document food biodiversity and its cultural and nutritional contributions to human well-being. Our intent is for this publication to recognize the contributions of Indigenous Peoples in northern North America to our global heritage of food knowledge. This web publication has the purpose to describe and to reference the published literature on traditional animal foods known and used by Indigenous Peoples of northern North America. We present information on the locations of the cultures whose peoples have used, and often continue to use, these foods. The publication focuses on Canada, Alaska, Greenland and the northern United States of America, but many of the animal species presented here also occur in the northern latitudes of Europe and Asia. In sum, we present data for 527 species of animals, drawing information from over 490 ethnographic sources, an additional 91 unique sources reporting nutritional information, and 357 sources containing basic biological information. Environmental changes (e.g. climate change, land-use change, contaminants, biodiversity loss), globalization, industrially produced foods, and dietary simplification threaten the nutrition and health of many indigenous cultures around the globe. These impacts are of major concern to Indigenous Peoples and are the subject of much ongoing research. Here we do not focus on the causes or the consequences of changing traditional food use, only because they are not consistently or reliably documented in the available ethnographic literature, much of which is dated. Instead we focus on describing traditional animal foods used by Indigenous Peoples, in the past and the present, including their use, biology, and nutritional value. This is a reference guide that we hope will be useful to a variety of users: public health professionals, wildlife resource managers, Indigenous Peoples and the education of their youth, nutritionists, ethnographers, wildlife enthusiasts, the variety of organizations serving Indigenous Peoples, and academics working in several disciplines. The presentation is in academic style that is as user-friendly as practical for this large amount of information. We have published this information as a website rather than as a book for three main reasons: 1) we want this information to be readily available to a wide community, 2) we want the depth of information available on this topic to be easily searchable and to enable cross-referencing cultural, biological, and nutrient information, and 3) we want this website to be a living, updating document that improves over time through the addition of new and corrected information. We are well aware that the sources we cite and summarize here are a vast under-representation of the food use and cultural diversity of Indigenous Peoples, much of which has been neglected and sometimes misrepresented in the published literature. We hope that readers noting omissions, discrepancies, and errors in the text will view these as opportunities to better recognize the contributions of Indigenous Peoples to our global heritage of food knowledge. Accordingly, we have included a feedback link on the top right of all pages and hope readers will use this link to direct us to additional academic literature, reports, or community publications containing pertinent information. 1) Animals The information under this tab is organized by animal taxonomic groups. For each animal group or species, the reader can access four different subtabs: a) Ethography: a full text description of published ethnographic work; b) Biology: a full text description of the basic animal biology and ecology; c) Cultures: a list of cultures mentioned linked to the main Cultures tab; and d) Nutrients: a searchable, sortable, and downloadable table of published nutrient composition of raw and prepared food. 2) Cultures The information is organized by regions and by language and culture groups. For each region, language, or culture groups, the reader can access a list of animal groups or species mentioned and linked to the main Animals tab. 3) Nutrients The nutrient composition of raw and prepared food parts is organized by animal groups and species and is presented in a searchable, sortable, and downloadable tables. The scientific literature was screened in several ways: for information to determine the actual list of wild animal species, for ethnographic works conducted in North America, for ethnographic citations for each species, for biological and habitat information for each species, and for nutrient contents of each species or the parts of species used as food. This information is presented to the reader in several ways, including map, taxonomic, cultural, and nutrient entry points into the data base. We used the Integrated Taxonomic Information System to obtain valid common name and taxonomic information for each species, the PanTHERIA database to obtain typical adult body mass for mammals, and the Birds of North America Online to obtain typical range in body mass for birds. For each species, we also include a photograph and a distribution map from the following sources, unless otherwise stated: the Smithsonian National Museum of Natural History for North American Mammals website for mammal pictures and distribution maps, from the Birds of North America Online website for bird distribution maps, and from the Encyclopedia of Life website for bird pictures and for fish and invertebrate pictures and distribution maps. The information in this web book contains a list of mentioned cultures (313) with their respective geographic location and language family, a list of mentioned species (527) with taxonomic details, a full text description of ethnographic work for each species including cultures that used the species, harvesting information, preparation for food, uses other than food, and cultural beliefs associated with the species, a full text description of the basic biology and ecology of each species group, and a nutrient composition table for animal food parts including different preparation methods and more than 60 nutrient entities. Nutrient data are reported in a table consistent with current terminology and formats used by the Food and Agriculture Organization. As is the nature of all nutrient data gleaned from literature reviews, there are many missing values, which are reported as blank values. The many blank values point to the continuing need to improve the nutrient database of these unique foods. We report to the best of our ability what is found in the literature; however there are caveats to the complete accuracy of this information: 1) It was our intention to report as fully as possible on what is in the literature, and not to make value judgments on the information. Ethnographers may not have known or reported the correct or current species scientific names or common names. Ethnographers may also have misrepresented information on food species that is known and used by Indigenous Peoples today; 2) Taxonomy of biological systems changes over time with new information; 3) We may have overlooked some gray literature describing use of species by Indigenous Peoples in certain areas, or there may be very recent data not included; 4) Not all Indigenous Peoples are represented due to our goal to report only the work in the literature; 5) Some ethnographers used interview information from a few key sources, rather than an entire population; therefore, the data presented may not be true of the entire population; 6) When ethnographers did not specify species, and used only a generic name for the animal, we included the reported information in a more general section on the group of species to which that unspecified species belongs to (for example, the unspecified halibut section includes only cultures where an ethnographer mentioned “halibut”, whereas, names from ethnographies of cultures that referred to a specific species- such as “Greenland halibut”- are not included in that section). This may have resulted in some duplication of unspecified species text with that describing a particular species; 7) For each animal, the name(s) given by the ethnographer are retained; however, the currently accepted name by a particular culture is given at first mention. 8) Similarly, the names of cultures are given in parenthesis at first mention within an animal text description, but the culture name used by the ethnographer was retained (for example, Kigirktarugmiut (Inuvialuit)). Because this information is gleaned from the literature, with dates often decades in the past, we have usually reported information in the past tense. However, many species continue to be important for Indigenous Peoples at the present time. If we were aware that a practice of using an animal food continues today, we used the present tense. Kuhnlein, H.V. and M.M. Humphries. 2017. Traditional Animal Foods of Indigenous Peoples of Northern North America: http://traditionalanimalfoods.org/.  Centre for Indigenous Peoples’ Nutrition and Environment, McGill University, Montreal. Many undergraduate and graduate students at McGill University contributed to the information presented here. They were invaluable to the detail and quality of information of a lengthy period of more than 10 years. We could not have done this without them! In alphabetical order by last name: John Anthony, Bruno Belair, Katherine Birks, Evelyne Desaulniers, Karine Duffy, Lisa Elvidge, Karen Fediuk, Melissa Fernandez, Camille Jankowski, Michelle Jiminez, Masaud Kakkar, Jessica Kippan, Rachel Malcangi, Jessica McNeill, Chigoziri Nwachuku, Nandita Perumal, David Procyshyn, Kristin Rindress, Jasna Robinson, Lindiwe Sibeko. Dina Spigelski and Manuelle Landry-Cuerrier coordinated the ethnographic and biological research, respectively, and made enormous contributions to the overall presentation and integration. We are thankful to Guillaume Larocque, from Quebec Centre for Biodiversity Science, for providing technical support with the revisions and updates of the website. We are appreciative of financial support contributing to this research that was provided by the Canadian Institutes of Health Research, the Northern Contaminants Program of the Department of Indian and Northern Development, and the Natural Sciences and Engineering Research Council. The R. Howard Webster Foundation of Canada and The Ernst Göhner Stiftung of Switzerland generously provided funding for the latter stages of publication completion. The support and infrastructure of McGill University was invaluable to our work.We acknowledge the continuing encouragement over many years for CINE’s work on traditional animal foods from the CINE Governing Board. We are grateful for the helpful suggestions for improving this website that were made by several reviewers. 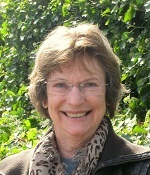 Dr. Harriet V. Kuhnlein is the Founding Director of CINE. As a human nutritionist, her work brings recognition to the excellent nutritional qualities and cultural values of unique traditional foods known and used by Indigenous Peoples. 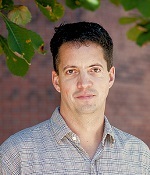 Dr. Murray M. Humphries is the Director of CINE. As a wildlife biologist, his work encompasses traditional and scientific ecological knowledge of wildlife in the food systems of Indigenous Peoples.